Another day, another record to Porsche’s name. 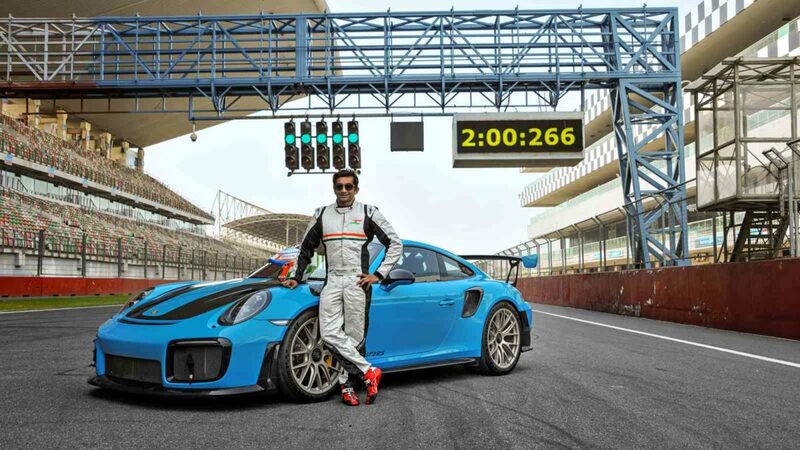 The ex-f1 driver, Narain Karthikeyan, who recently pushed the track-bred 911 GT3 to its limits and set a new record for this FIA approved race track. Unfortunately, the record was not to stay for too long. Sitting a bit higher in the 911 hierarchy, the Porsche 911 GT2 RS is now the official holder of this record. This turbocharged, 700 hp monster with the skill of Narain Karthikeyan, managed to complete the famous circuit in a time of 2 minutes 00.266 seconds, shaving off more than 7 seconds off the previous record run, which in the world of racing is more like an eternity. 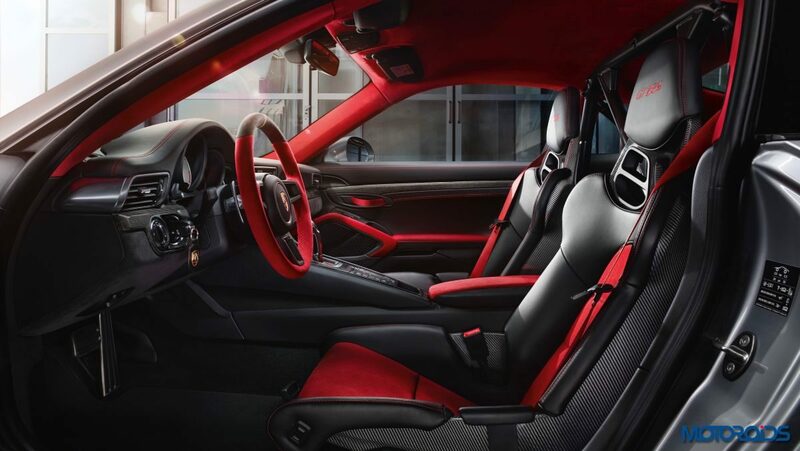 With a 3.8-litre turbocharged flat-six engine fitted right at the rear of the car, the 911 GT2 RS is the most powerful road legal 911 till date. The car unleashes as much as 700 hp and offers a twisting force of 750 Nm. The power is transmitted to the wheels via the Porsche Doppelkupplung (PDK) transmission which gives uninterrupted gearshifts every time, without any loss of traction. Tipping the scales at a mere 1,470 kilograms, the 911 GT2 RS is capable of achieving 0 to 100 kmph in about 2.8 seconds. With more and more clever aerodynamic bits added to the car, including the giant rear wing, cornering speeds on the 911 GT2 RS can be compared with those of super sports cars.